Mini DVD - Recovery of data from mini DVD formats. No recovery no fee. A fairly popular format developed in between tape and solid state formats. 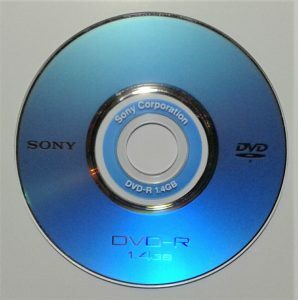 Mini DVD 1.4 GB single sided. Some would say it was an awkward format as the DVD’s only have a 1.4GB capacity which only allowed for 30 minutes of recording in MPEG 2 format. Double sided DVD’s where available which in effect doubled the available recording time. 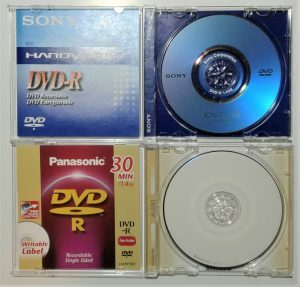 DVD compatibility was one of it’s main selling features in that the mini DVD’s could be played back on a standard DVD player, provided the mini DVD’s were finalized prior to removal from the camera. This is where things went wrong. Many people did not finalize the discs and as such the recordings were never “closed” or finalized. This meant that the discs would not play in a standard DVD player, they will only play back in the camera. Now many years on the camcorders are no longer available and the discs are gathering dust on a shelf. When inserted into a computers DVD drive, the DVD shows as “blank”. This is generally not the case, the files are just hidden deep in the sectors of the mini DVD. All is not lost! DVD Conversions Limited have commercial grade data recovery software which can retrieve these “lost’ recordings and can convert them to digital files such as MP4, AVI or QuickTime. If you have mini DVD’s we can assess and advise accordingly, no recovery – no fee.